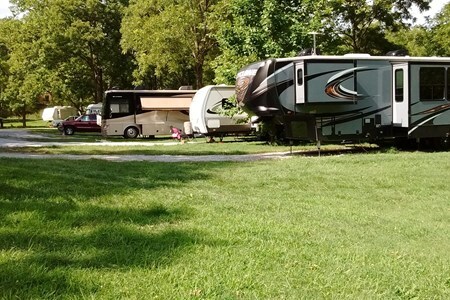 Three Springs Campground & RV Park offers beautiful grass lawns and level gravel pads in our RV Section. Each back-in site offers water, 20/30/50 AMP electric service, picnic table ... moreand a fire pit. We assist as each camper backs in to make sure your level and comfortable for your stay. Our park managers are eager to please and accomodate as we enter our 3rd Season as Campground Managers. Handicap or new campers enjoy hookup assistance and parking guides, as well as advice on all things camping when asked for! Jenkins Farm is a large working farm nestled in a wide valley between unique knob mountains on the edge of Eastern Kentucky. Enjoy serenity surrounded by peace and quiet. The town ... moreof Irvine is just 15 minutes away with all the amenities you need, including a hospital. The popular town of Berea offers unique shopping. Or stay on the property and fish or wade in Red Lick Creek, hike in Daniel Boone National Forest that borders the property, or just practice the fine art of relaxing. Sites are easy to pull in from the country highway. Property manager is always on the property and available to give Farm tours. 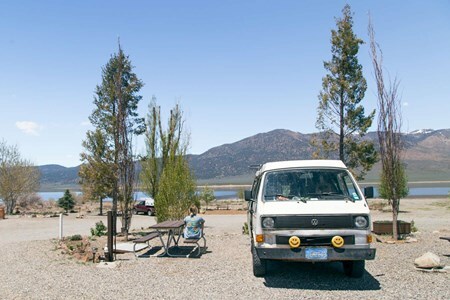 Avoid the busy campgrounds and find the space you're looking for. Look for the sign "Welcome to the Red Lick Music Festival" as you're coming down the road. 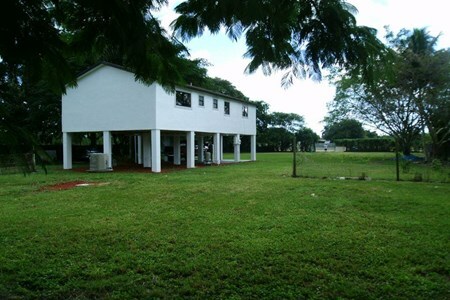 Situated in a safe rural area of Miami just before the Florida Keys. 10 minutes to Key Largo. Boats welcome. Very Long term available at reasonable rate. 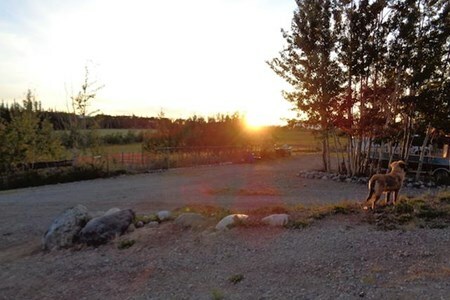 Quiet hobby farm with beautiful views 60 km south of Whitehorse, near Marshlake, family operated. When you arrive, we won’t hand you a list of rules but we may ask you to join us for a campfire, remind you to conserve water, and to separate your trash so we can recycle it. That’s about it, oh yeah: relax, it’s your vacation. 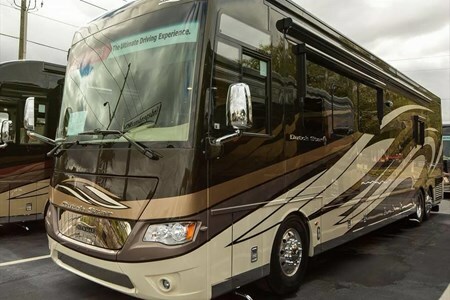 It’s important to us that our guests don’t feel they are renting a RV site as much as they’re immersing themselves into the outdoor experience. You may just want to lay in one of our hammocks and read for three days. For the more adventurous, we offer a full slate of self-guided recreational activities such as hiking, kayaking, fishing, ATVing, rock climbing, biking, natural water slides, stand up paddle boards, bird watching, campfires & s'mores. We do have modern conveniences such as wifi internet; however, we encourage our guest to “unplug” and immerse in the slow pace life instead. We're proud to know this area intimately and are excited to share the secret spots with you. The excellent hiking/running trails including the Pacific Crest Trail, the thousands of miles of ATV, dirtbike and mountain bike trails are accessible right from our camp or within a short drive from Paradise Shores. The surrounding terrain offers endless activities and unbelievable scenery in remote wilderness settings. We love dogs. Be sure to bring you four legged friend when staying with us. With dog wash and huge off leash dog beach, your adventure pup will be a happy camper here! 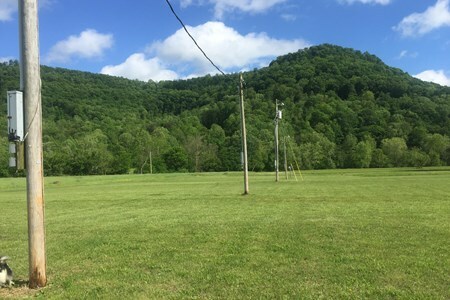 Our Mountain Views RV Camping sites have full hookups (electricity, sewer, water) and WIFI and can accommodate rigs up to 30 feet (class C or B motorhomes without a tow car) or 25 feet trailers. These gravel spots have mountain and/or lake views. 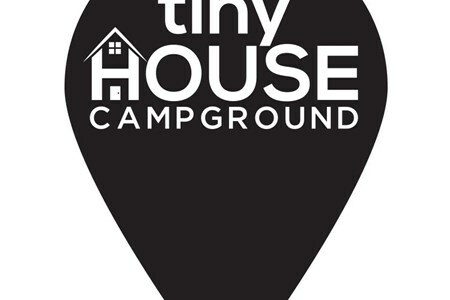 Additionally, they come with the access to clean bathrooms stocked with supplies available to our campers. - Part of the property is fenced, in case your dog needs some time to run around. Come view the eclipse from the comfort of your RV, tiny home, campers, campervan etc. No ammentires except a great view of the eclipse with horses trotting in the background. Off ... morea dirt road just minutes from town. Pets must not chase after horses. Country RV Site close to Chattanooga surrounded by horses, blueberries and other farm animals. A quiet country retreat nestled in the picturesque rural outskirts of Higginsville, Missouri. Our yard consists of 3 acres of a 180 acre farm and we have two RV hookups with water, ... moreelectric, and dumping. 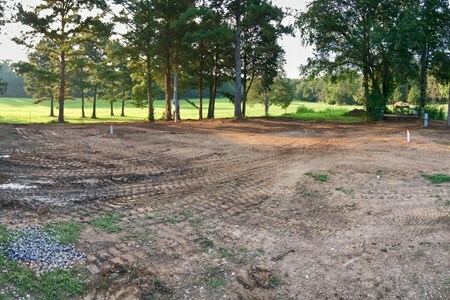 You will also have at your disposal the use of our outdoor furniture, a fire pit (firewood available), a BBQ grill, and even a horseshoe pit. 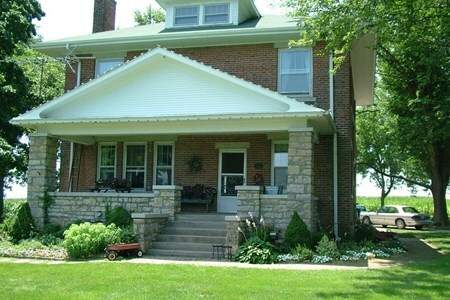 We live in a 1920's Prairie Style home of which you are welcome to come sit on our front porch, relax and view the landscape with our dozens of mature trees, surrounding pastures and fields. Located just 50 miles east of Kansas City and a few miles off of I-70 we are a short drive from the Confederate State Park, Missouri Veteran's Cemetery, and several Civil War sites. In addition to historic sites, numerous of Missouri's finest wineries and orchards are nearby. You may also want to take a drive or ride on the Old Trails Scenic Byway, Route 24 for a car or motorcycle tour that will reset your pace from city life. 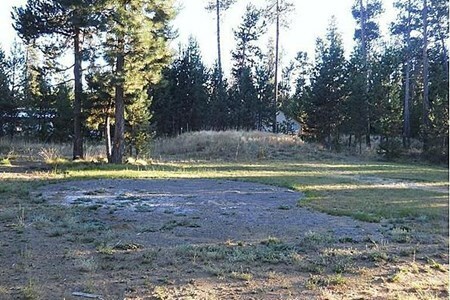 This is a 1/2 acre lot with trees in the Water Wonderland area of Bend Oregon. I will be clearing and updating the lot for RV camping. 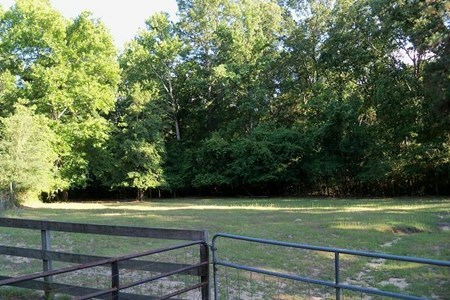 Pretty, wooded spot on private acreage located at end of road in a National Forest. Situated in the "middle of nowhere" it has recreational lakes in either direction but also easily ... moreaccessible to shopping, restaurants, and entertainment. Utlilites are available depending on where you park or do boondocking. 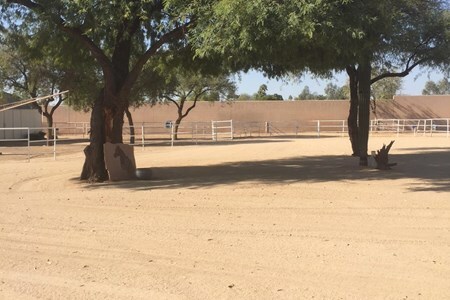 The ranch is a quiet lovely property in the heart of Scottsdale. The property has a wall enclosing 2.55 acres. You are 5 minutes from everything! Costco, Sams, grocery stores, movies, ... moreWhole Foods, great restaurants and much more. Off the 101 expressway. Special - Limited spaces available, do not wait. 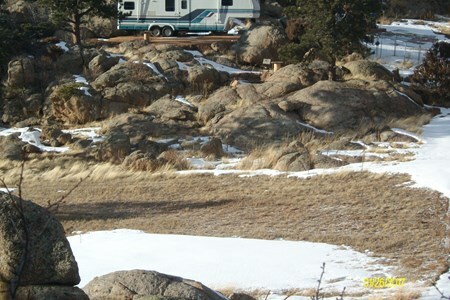 ​Nice park- like setting - Great location with friendly RV neighbors. 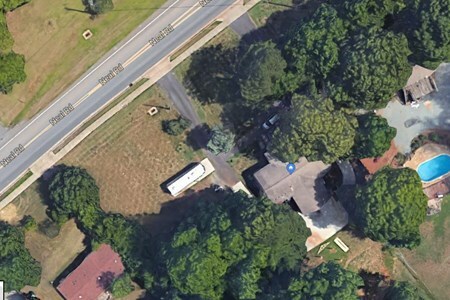 Just bought a new house in Charlotte NC with an RV pad...but don't have an RV. The concrete pad is 41' x 12' and has a 30 Amp RV outlet next to it. Tow vehicle parking is available ... morein the adjacent driveway. There is a 1/2 acre yard next to the pad that is yours to enjoy. Tanks can be emptied and filled through our home system next door (still working on the details for that). 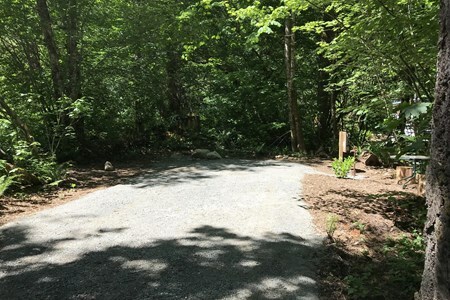 The lot is adjacent to our house so showers and laundry facilities can be accomodated if needed. We can even do a nice breakfast for you if you want (my wife is an amazing cook!!!). We are new to this so still working out the details, but I think you will like the spot. The LYNX Blue Line light rail station is just 1.4 miles away (opening in March) so bike on over and spend the day exploring downtown Charlotte without worrying about where to find a place to park. 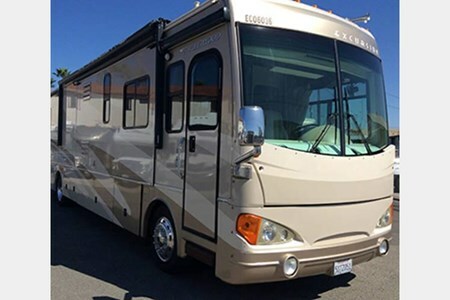 This is the perfect spot for RVers who want to get taste of the city without any of the hassle. Rent RV sites by the day, week, or month. Pet friendly. Water, electric, sewer, trash and cable TV included. Less than 1 mile from Salt Fork. 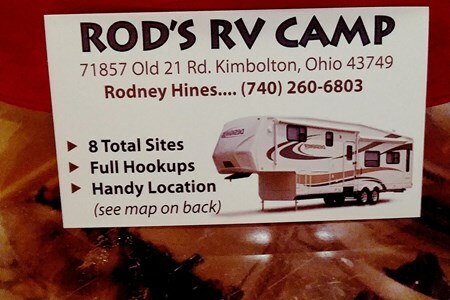 RV Site for Rent. Exclusive and Private. Remote and Secluded on Mountainous Terrain that's Forested with Rock Outcroppings. It’s a full hook-up, up to 32' RV site. It has 30/50 amp. ... moreelectric service. Deep well fresh water hydrant hook-up. Septic system hook-up. DSL high speed Internet. The site also has your very own 8 seat Private Hot Tub! It’s only a 40 minute drive to Fort Collins, Colorado. Located 12 miles East of Red Feather Lakes, Colorado. One private RV parking site in Paradise Valley, BC. Located a stones throw from the Cheakamus River, a popular fishing destination for Steelhead, Trout, and Salmon. Hike 40 minutes ... moreup to a beautiful warm lake that is virtually undiscovered, with stunning views of the snowcapped Tantalas Range and a floating swim dock. Whitewater rafting available just up the road, or ride your bikes to an ice cream stand 5 kms away, visit the Fish Hatchery. Visit the Sea to Sky Gondola, go birding, kayaking, or kiteboarding in Squamish. Large back in gravel RV spot in beautiful Wolffork Valley.  Full hookups under Locust Grove. Headwaters of the Little Tennessee River on the property. Near the Bartrum and Appalachian ... moreTrails. 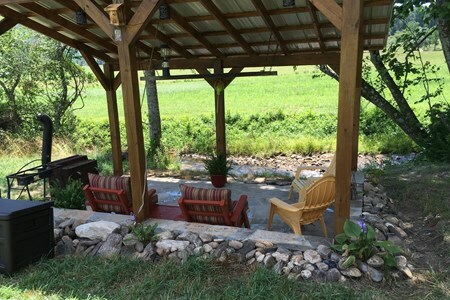 Walk to the creek and wade in cool waters or sit in the Creek House and listen to the creek go by. Build a fire at the Fire Pit to make Some’Mores. Close to unique town of Clayton, Black Rock State Park and Franklin, North Carolina. Fishing and golfing close by.